Is the lack of a working official Instagram app for Windows Phone ruining your photo sharing? This is a problem you can easily solve – in an “Instance” … this ad-supported app is free, although you can also pay $1.49 for an ad-free version. Why Use an Instagram Client? 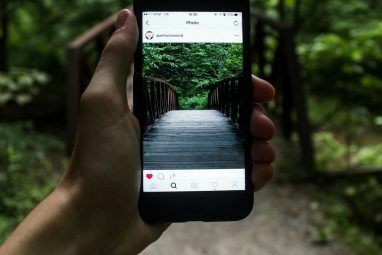 Despite the fact that the majority of Windows Phone devices pack serious camera hardware, Instagram has been painfully slow coming to the platform. Currently, an official beta app is available, but this is short on video upload capability (although it is still very good). In the meantime, several third party apps have been developed, while basic tools like #2InstaWithLove were released to capitalise on the Windows Phone community’s desire for an official app. Of the third party apps that have been released, Instance (initially released as Itsdagram in 2013) is perhaps the most impressive. Until the official client comes out of beta, it remains the best option short of changing smartphone platforms. You’ll need to have an Instagram account setup already to use Instance – but if you haven’t, you can create one within the app. Once your account is created, you can edit the details and profile picture using the Edit profile option in the app menu. Here you can also Find friends using your contacts or Facebook. To snap a photo and upload it to Instagram, all you need to do is tap the software camera button, point and shoot. A selection of buttons across the top of the screen break the app up into the home screen where your photos are displayed, social interactions are listed, trending and recent photos on Instagram highlighted and your own profile page summary. You can swipe between these screens as easily as tapping the menu icons. To get the most out of this app, it is worth spending a few moments in the Settings page, available via the menu. You’ll notice that you can change the app theme, using two included themes or your phone’s global theme, but the main point of this page is to configure how Instance saves your photos. Bearing in mind that the app is a little unstable at times (see below) it is worth enabling both save options so that images are stored to your phone before and after they have been edited. If you’re happy to enable geotagging, the Use my location check box will switch this feature on as long as you have Windows Phone localization enabled (mobile localization is easily disabled The Secret To Disabling Mobile Phone Localization The Secret To Disabling Mobile Phone Localization The increased connectivity that is afforded by mobile phones and tablets has a distinct dark side – many of the apps and games that we use can reveal our location, one way or another. This... Read More ). As with many Windows Phone apps, Instance offers Live Tile functionality. If you have pinned the app to your Start screen you can use the Settings > General screen to enable updates of background data for the Live Tile and for toast notifications. Instance’s user interface is as straightforward and fuss-free as you would expect from a photo-centric app. The camera button is available at the foot of the screen and taking a snap is a case of lining up and pressing the software button. Flash, gridlines and other options can be toggled. After taking a photo, a small selection of Instagram-esque filters – renamed, of course – are provided, along with brightness and contrast controls for you to edit them further. A single, black frame is provided as an option. When you’re done, you can add a caption and share the image with the Instagram. Depending on how you set the app up, you might even share your naps with Twitter, Facebook and other apps. 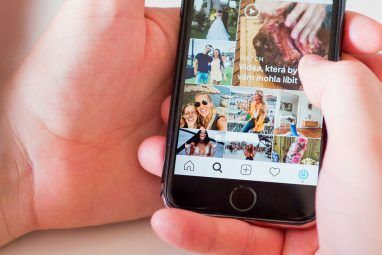 Via Settings > accounts, you can set up pretty much any popular social network account, ready for your photos to be shared with as they are uploaded to Instagram. While most are easy to set up, however, Facebook is a little troublesome. Fortunately, there is a workaround. After the snap has been uploaded, open it in the app and use the sharing option, which employs Windows Phone’s standard sharing menu. As long as you have Facebook set up as a sharing option on your device, you can share the photo to the social network. In order to best test the app, I took my Windows Phone Nokia Lumia 920 Nokia Lumia 920 Review & Giveaway Nokia Lumia 920 Review & Giveaway A couple of weeks ago, Nokia introduced two new devices to the world: the Nokia Lumia 925 and the Nokia Lumia 928. The top notch of Windows Phone 8 devices, these two smartphones will only... Read More on a day trip to York recently, where the picturesque English city provided an atmospheric backdrop to my evaluation. The results can be seen throughout this review, but they sadly don’t describe the moments of abject frustration, experienced when the app would hang or crash out completely – almost always following the snapping of a new photo. On the left above you can see an upload that never completed. Meanwhile on the right, the thumbnail of a “levitating” Yoda street art was the third attempt to take a photo of an intriguing performer (you can see the full image on my Instagram page). There is a strong chance that this issue was caused by local or remote Internet connectivity, although given that I was in a 4G zone and other services were working fine, this seems unlikely. One last point on this – checking the Windows Phone Store reveals other users with the same problems, but it does seem to be an issue that has only occurred since the GDR3 update was released. My own handset was updated to this just last week, so an update from the Instance developers should be able to resolve the problem. There isn’t much to choose between the Instagram beta and Instance. Neither offers video upload; neither app is 100% stable. 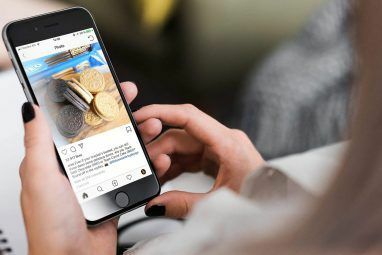 However, as long as an official/approved Instagram app is coming for Windows Phone, using Instance as an alternative – it was one of the first Instagram clients for the platform – would seem to be the sensible option until the official client is ready to go. The app isn’t perfect. It is prone to crashes and doesn’t like mobile Internet connections (although these would seem to be problems caused by the recent Windows Phone 8 GDR 3 update). On the other hand, when it works, it is brilliant, fast and efficient. 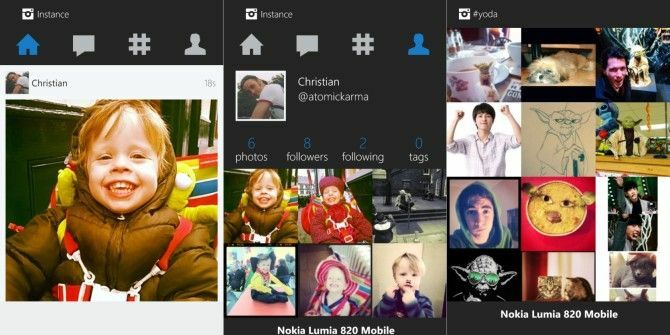 If you want an Instagram client for your Windows Phone, install the official app, but use Instance. Explore more about: Instagram, Windows Phone, Windows Phone 8.